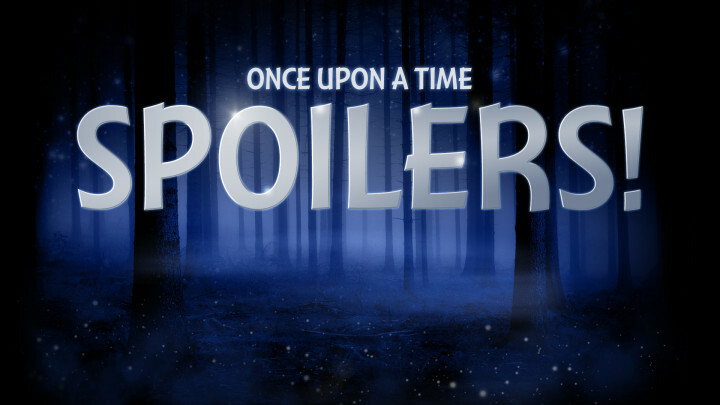 All the details you need to know about the 150th episode directed by Lana Parrilla, as well as more Series Finale news you do not want to miss in this spoilers-only podcast of episode 7×17 “Chosen”. 7×17 “Chosen” was written by Paul Karp & Brian Ridings, and directed by Lana Parrilla, with guest stars including Rebecca Mader as Zelena/Kelly, Tiera Skovbye as Robin/Margot, Nathan Parsons as Nick Branson/Jack, Daniel Francis as Dr. Facilier/Mr. Samdi, Jeff Pierre as Prince Naveen/Drew, Kip Pardue as Chad, Dan Payne as Ivo, Chilton Crane as The Witch, Seth Isaac Johnson as Young Hansel, Lily van der Griend as Young Gretel. The very confusing promo for “Chosen” starts off with Zelena as the Wicked Witch and Nick/Jack/Hansel the Candy Killer saying that Henry is familiar with her kind of wicked and he needs his help to make her pay. Kelly then goes to Weaver for help, knowing that she’s next on the Candy Killer’s list. Kelly also said that “that witch is the one that me into this mess”. Who is she referring to? The Wicked Witch? Chilton Crane’s character, The Witch? Cutting then to Nick kidnapping Zelena’s Poo Bear aka Chad, threatening her to do as he says. As confusing as the promo is, the photos for the episode “Chosen” consisted of only one scene again, with Zelena and Regina inside Roni’s bar. In a couple of photos, Zelena is seen sitting at the bar with a bat next to her and in another photo, Regina has a crow bar, obviously on the look out for the Candy Killer. In two separate photos, Zelena and Regina are seen looking out the window, as well. Finally, one photo shows Zelena with a phone in hand, seeming like she knows the Candy Killer has her fiance, Chad. As everyone probably knows by now, Ginnifer Goodwin and Josh Dallas are coming back to play the roles of Snow White/Mary Margaret and Prince Charming/David one last time. In an article about the return of Snow and Charming shared by TVLine recently, Adam Horowitz said that the pair will have “a critical role to play in the finale”. TVLine also teased that Andrew J. West and Jared Gilmore will have a scene with each other before the season as over. Speculation is that Gilmore will appear as adult Henry’s subconscious, and Snow and Charming may not exactly play a critical role in the plot sense or expect them to play front, back and center once again, seeing Goodwin and Dallas only filmed for two days. So, Snow White and Charming’s return may not include them saving the day. TVLine also reported about the return of original Hook, saying that “Colin O’Donoghue will be playing two roles as the series winds down.” O’Donoghue added that he will be having his last day dressed as a pirate for a scene with returning leading lady Jennifer Morrison. As of this recording, filming for the series is officially over. Newcomers Alison Fernandez (Lucy), Dania J. Ramirez (Jacinda/Cinderella), Rose Reynolds (Tilly/Alice) and Tiera Skobye (Margot/Robin) wrapped a day or so ahead than Robert Carlyle (Rumplestiltskin/Weaver), Colin O’Donoghue (Captain Hook/Nook/Rogers), Rebecca Mader (Zelena/Kelly) and Lana Parrilla (Regina/Roni). There were also lots of behind the scenes photos that everyone can check out either through the cast members’ Instagram accounts including Adam Horowitz or the filming thread over the forum. Furthermore, both Eddy Kitsis and Adam Horowitz were on set to say goodbye, with a photo of Colin O’Donoghue, Robert Carlyle and Lana Parrilla all sitting together as the filming wrapped for good. Back to Ginnifer Goodwin and Josh Dallas, the pair landed in Vancouver early last week to film their parts in the series finale and were around for two days. Unlike with Jennifer Morrison who filmed less than a day, the pair are probably going to be in more scenes than she was. Most speculation with Morrison is that she is going to be in only one scene, and it’s with the big family scene. With Snow White and Prince Charming, however, they’re probably going to be in at least two scenes, one of which includes the big family scene with Emma Swan. As for the critical role that Horowitz talked about, it is possible that Henry goes to see his grandparents to get caught up, and they offered him some kind of sage advice or a hint on what he needs to do. This will give us a chance to get caught up with how Storybrooke and the pair is doing, as well as check on baby Neal and see how he’s doing. There is a rumor that the big family scene involves a coronation for Regina, which explains why everybody is in fancy dresses, as well as why Emma, the Evil Queen and Robin are back; to see Regina get crowned. Also going back a bit about what O’Donoghue told TV Line about the CaptainSwan moment in the finale, there is a speculation that there will be a moment where we hear about Emma and Hook’s baby, and it seems pretty confirmed that they had a baby girl named Hope. There might also be a big interaction with the entire family, as well as Emma and Hook and their baby. Finally, we heard that all of the big ships on the show: CaptainSwan, OutlawQueen, SwanQueen, Snowing, and RumBelle will all get at least one very nice moment in the finale. We know that Sean Maguire came back as Wish Realm Robin Hood and might interact with Regina. Rumbelle, as we’ve heard, is going to have the biggest, most beautiful emotional payout of all the ships. Snowing, obviously, we will see again and we wouldn’t be suprised if they emphasized true love and True Love’s Kiss one last time. While we don’t know what is going to happen with SwanQueen, we heard that fans of the ship will be happy and delighted with what does happen between Emma and Regina, even if that ship never romantically canon. The only ship that seems to be a little bit left behind is SwanFire, and that’s because Michael Raymond James has been in London filming for quite a while and is unable to fly back to Vancouver to film anything, or if he was asked at all. Also, from what we heard, everyone is going to get closure, although not everyone may not get the “and they lived happily ever after” kind of end game. Do you know any spoilers that we missed? Share them with us by heading over the spoiler section of the forum!